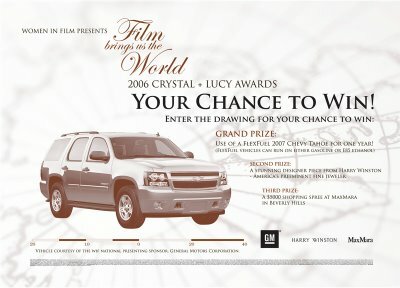 For Women In Film Los Angeles' Annual Crystal+Lucy Awards Gala, I was asked to create an on-site poster advertising the event opportunity raffle. The poster was created in two colors and echoed the night's elegant theme. 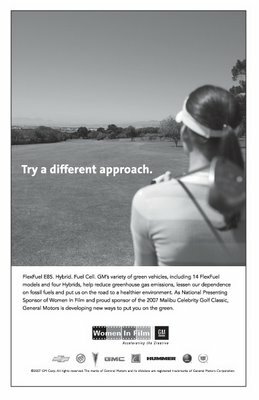 As National Presenting Sponsor of Women In Film, General Motors took out a full page ad in the event program. 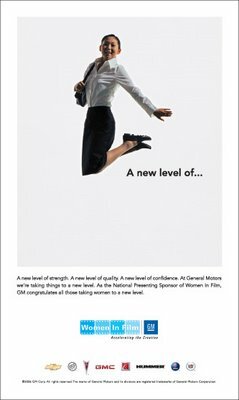 I designed the ad on behalf of GM and Women In Film and produced it for print. 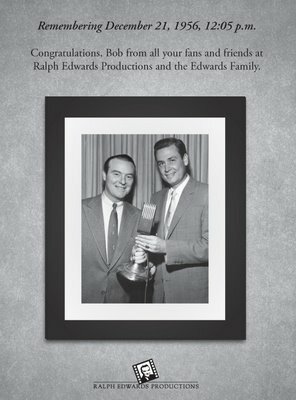 As the man and his company that gave Bob Barker his start on television, Ralph Edwards Productions took out a full page ad in the Hollywood Reporter commemorating Bob Barker's 50th year on television. 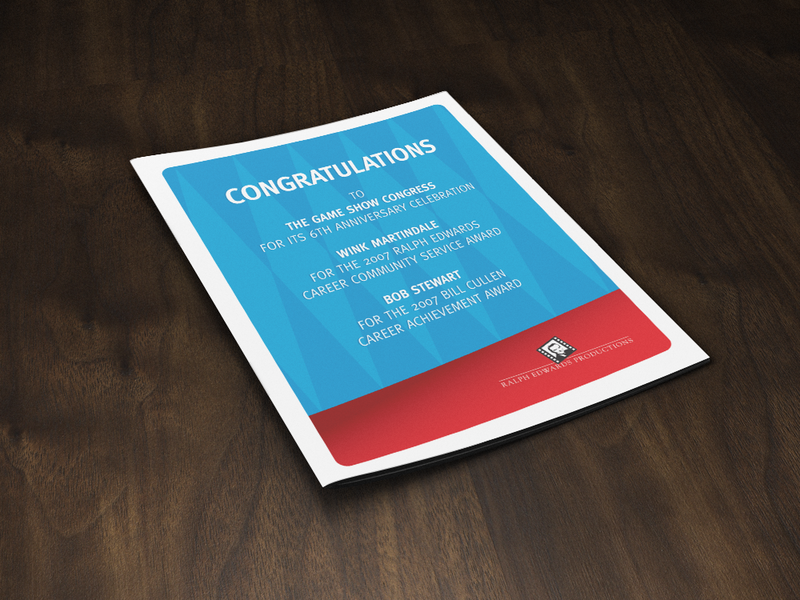 I designed the ad as a fitting tribute to two lifelong friends. At over 7 feet tall, this large-format poster announced the Houston Chapter of Women In Film's annual Reel Stars of Texas Awards, honoring two stars of the hit TV show Grey's Anatomy. Playing off the medical theme, I designed the poster and saw it through to completion. Women In Film wanted a place to showcase it's current library of video content highlighting it's programs, grant winners and member's contributions. 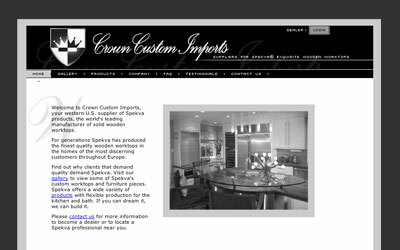 The logical solution was a dynamic Flash-based pop-up player window. 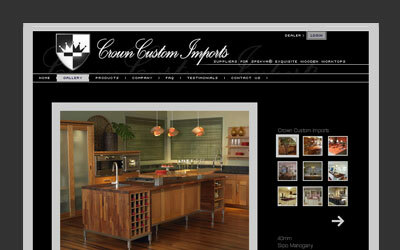 I designed the interface and navigation scheme and managed the project through completion.